Hello Bees! Today I get to share with you Microfiber Kitchen Towels from Luxe Beauty. Yay! 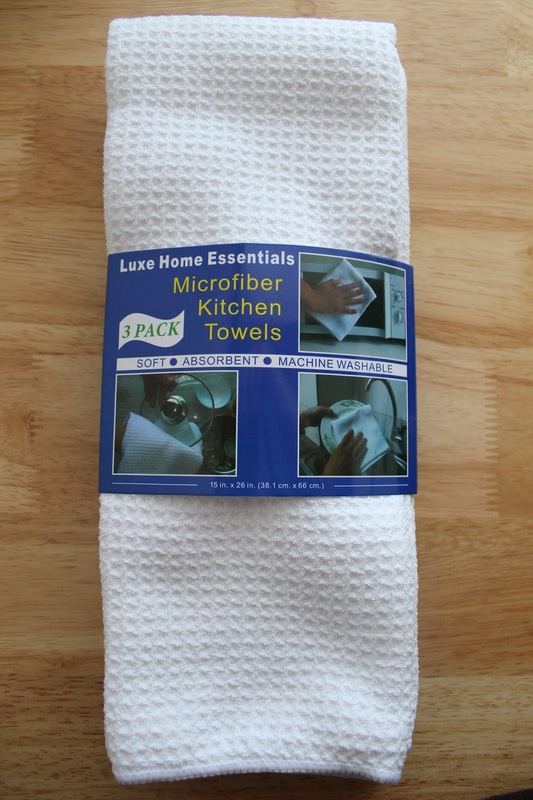 Read below and leave a comment telling me if you like Microfiber Towels..
Luxe Home Essentials Microfiber Kitchen Towels are 15 x 26 inches in size. Keep these Microfiber towels on hand in your kitchen. For easy spill clean up or to towel dry your dishes. 100% machine washable. Super absorbent! They are great for any surface and they will not scratch. Lint free. The texture of these Microfiber towels different from other Microfiber towels I've felt. Usually, I don't like Microfiber towels because the texture gets caught on my fingertips. But, these a SUPER soft! I use them all the time to dry the dishes. They are extremely durable and can hold up to 10 times their weight in water. I'd use these everywhere in the house. I'd say that they'd be great for the bathroom and laundry room as well. They are also Hypoallergenic! And, don't let your husband get ahold of these, because he will use them to towel dry the car..
*Disclaimer - I received a complimentary sample in exchange for my honest review. All opinions are my own.